Our comprehensive online system allows you to obtain or renew your Disclosure as fast and efficiently as possible, ensuring your staff are ready to work when needed. Our online system ensures that your online DBS checks are processed efficiently and promptly, with a minimum of delay and effort. Whether you have a single office with a few core employees or multiple offices with a multi-tiered organisational structure, our online system will meet your needs and allow you to track your DBS applications from start to finish. You can allocate responsibilities to different members of your team, while keeping track of individual applications with an account overview interface. Our online process is designed so that once the client initiates the DBS check online, DDC will manage the process until completion. We aim to only involve the client further to verify documentation is correct and in exceptional circumstances. Clients can nominate as many Document Checkers as they wish, which is achieved via a simple (one screen) online process that automatically issues the checker with a user name & password. The document checking system requires no training, as full online guidance is provided at the time of undertaking the checks, and the data contained on the documents is verified using multiple choice questions. Clients are notified when Disclosures are issued via their unique Client Area and via an optional email. Where content is on an applicant’s DBS Disclosure, this document will need to be seen by one of the nominated client contacts. DDC will notify the contacts who the applicant is so you can arrange to meet. The nominated contact in the organisation can be different to those authorised to initiate checks. This allows larger organisations to delegate the task of getting the online DBS checks done to administrators with any resulting content dealt with by HR trained staff. Both processes include a tracking and reminder service that will check the application form has been received by the applicant and remind those tardy ones to return it. DDC give the option to deal with the Disclosure content on behalf of the client and relay the Disclosure content over the phone. This can be particularly useful where the workforce are not centrally located. Can I use e-Bulk for Basic-level Checks and PVG applications? Once you decide you would like to undertake online DBS checks you need to register with us. We will take your details as the main account contact and issue log-in details to access your own ‘Client Area’. We will also add any additional team members that you would like to undertake specific steps in the process. These may be ‘Co-Requesters’, who will help initiate and manage applicants, or ‘Recipients’, who will receive Disclosure content. Once the account is set up, the process can begin. To initiate online DBS checks, all we require is a name, email address and some basic contact details. The applicant will then be sent an email, providing them with log-in information and a link to our online applicant area. The email also provides some basic information to the applicant to identify ourselves and our relationship with you as the Client. The applicant will also be provided with a point of contact for any queries for the process. The applicant logs into the secure applicant area, where they can complete their online disclosure application form. Our interactive online DBS form will ensure that they enter all the required information, check it is in the correct format and to the right level of detail. Where information requirements are complex, the applicant receives clear instructions on the form, and useful tips at the point of need. Where the form requires input that meets certain criteria, our online form validates the data, and if the data is incorrectly formatted, error messages clearly label the mistake. Once the online form is complete, the applicant can nominate the documents that they will use to support their application. These documents need to corroborate the details that have been entered on the form. Once the application is ready to proceed to the document checking stage, the applicant will be issued with clear instructions on where to take their documents, or who to contact to facilitate the next step in the process. This information can be edited by each of the ‘Document Checkers’ or main account holders, to enable the applicant to reach the next stage in the process. On completion of the online form, the applicant brings his or her documents to a nominated ‘Document Checker’. The role of Document Checker can be assigned to any member of your team or can be undertaken by yourself. This role involves viewing each of the documents presented by the applicant and using on-screen guidance to verify its content and validity. There are a series of multiple choice questions to ensure that the document information matches the information entered by the applicant on to their form. 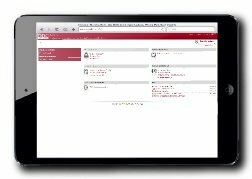 With the on-screen guidance provided, the role of Document Checker becomes de-skilled to enable you to assign it to any member of staff. What documents are required for a criminal record check? With our system for online DBS checks and paper checks, you can track the progress of applications, and ensure that the process is running smoothly. As an application passes to the next stage, the application status is updated, to ensure you have the latest information at your fingertips. We also have the option of email alerts at certain points in the process, to provide further updates as requested. Once the documents are verified, the online DBS checks can be submitted to DDC. When we receive a completed form, it will be reviewed by a fully-trained and authorised ‘Countersignatory’, prior to submission to the DBS. The applications are queued into ‘batches’ after being checked, which are sent to the DBS several times per day using the DBS secure connection. All information exchanges with the DBS are fully logged, so every action is traceable in the event of a query. The DBS will issue a receipt for the accepted application and confirm that it is in progress. On the very rare occurrence of an error with an application we are informed electronically by the DBS, and can resubmit once the issue has been resolved. At DDC Ltd we track the online DBS check applications once they are submitted to ensure the DBS are meeting their Service Level Agreements. The DBS limit the ability of Umbrella Bodies to chase an application until it has been at Stage 4 of 5 (with the Local Police Force) for 60 days. We monitor the applications and provide full tracking to our Clients when we contact the DBS, and any interactions with them. Can my Disclosure be received by a family member? Once the DBS have processed the application they will return the results to DDC Ltd using the eBulk systems. Where a Disclosure is clear we receive an automatic update via eBulk which confirms the Disclosure number and issue date. This instantly appears on the Client Area and an optional email can be triggered, which is sent to the Requester to confirm this. Again we check this information to confirm that the applicant details sent to the DBS match the details returned on the Disclosure. If a Disclosure has content the DBS will inform us electronically via eBulk which applicant has content and we are given the Disclosure number and issue date. Once this automated notification arrives with us an automated email is sent to the named ‘Recipient’ (person authorised to receive content) to allow them to establish who the applicant is. The Recipient will need to get sight of the Disclosure with content to establish what it is and to make an employment decision. Once the Client has made the employment decision we request email confirmation that we can display the Disclosure issue number and date on the Client Area. DDC offer an optional service where we get sight of the Disclosure with content on the Clients behalf and then relay this content to the Recipient. This service does incur a small service charge. If a paper record of a DBS check is required the Client can print a Preview Disclosure Notice from their Client Area, and keep this information on personnel files. All of our software is developed in-house, so we retain full control of the online DBS checking process and the data. We are constantly developing the interface and adapting our system to changes in eligibility, legislation and DBS guidelines. We have passed all DBS e-Bulk tests and DBS inspections. We own our servers, so your data doesn’t disappear into ‘the cloud’. 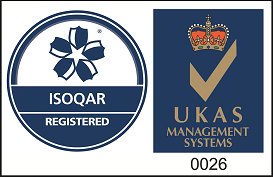 We are also fully ISO 27001 certified and undergo regular penetration tests, so you can be assured that our systems are pro-actively secured and that we keeping up with changes in technology. For more information, please visit our Security Commitment page.